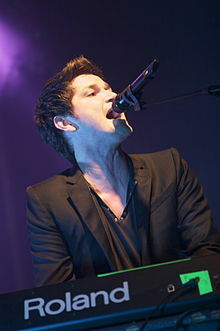 Daniel John Mark Luke O'Donoghue (born 3 October 1980)  is an Irish singer-songwriter known for being the frontman of the Irish alternative rock band The Script and as a coach on the first two series of the television singing talent show The Voice UK . The Script is an Irish pop band formed in 2001 in Dublin, Ireland. They first released music in 2008. It consists of lead vocalist and keyboardist Daniel O'Donoghue, lead guitarist Mark Sheehan, and drummer and bassist Glen Power. The band moved to London after signing to Sony Label Group imprint Phonogenic and released its eponymous debut album of the same name, in August 2008, preceded by the successful singles "The Man Who Can't Be Moved" and "Breakeven". The album peaked at number one in both Ireland and the UK. Their next three albums, Science & Faith (2010), #3 (2012) and No Sound Without Silence (2014), all topped the album charts in Ireland and the UK, while Science & Faith reached number three in the US. Hit singles from the albums include "For the First Time", "Nothing", "Hall of Fame" and "Superheroes". 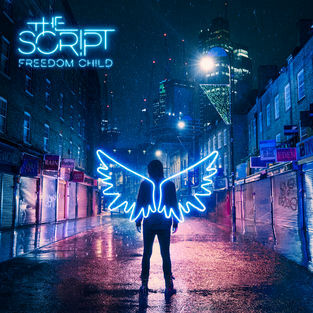 The band's fifth studio album, Freedom Child, was released on September 1, 2017 and features the UK Top 20 single "Rain". The Voice UK is a British television talent show created by John de Mol and based on the concept The Voice of Holland. It began airing on BBC One on 24 March 2012. There are five different stages to the show: producers' auditions, blind auditions, battle phase, knockouts, and live shows. The winner receives £100,000 and a record deal with Republic Records. There have been seven winners to date: Leanne Mitchell, Andrea Begley, Jermain Jackman, Stevie McCrorie, Kevin Simm, Mo Adeniran and Ruti Olajugbagbe. Ballinteer is a small southside suburb of Dublin, located in Dún Laoghaire–Rathdown, Ireland, extensively developed from the late 1960s onwards. The band released their eponymous debut album on 8 August 2008. O'Donoghue co-wrote all the songs on the album. The album went on to become a commercial success, especially in their home country of Ireland, peaking at number one on the Irish Album Chart. The band has since released three more albums: Science and Faith in September 2010, #3 in September 2012, and No Sound Without Silence in September 2014. The Script have toured since early March 2013 for their #3 tour in the UK. They performed in some of the UK's largest arenas and cities such Birmingham, London and Manchester. In 2012 O'Donoghue made his first appearance in The Voice UK alongside Jessie J, will.i.am and Tom Jones as a coach. The decision was supported by bandmates Glen Power and Mark Sheehan, who said: "Danny did The Voice to put a face to The Script. We know about producing, song writing and performing – we’ve been doing it since we were 14 or 15. Danny on a show about singing was good for us. People saw how passionate he is about music, how much it means to him and it made our band better known." The appointment of O'Donoghue as coach initially drew criticism, with Twitter users branding him "Danny I Dunno Who" and comedian James Corden joking about it at the 2012 BRIT Awards. Jessica Ellen Cornish, known professionally as Jessie J, is an English singer and songwriter. Born and raised in London, she began her career on stage, aged 11, with a role in the West End musical Whistle Down the Wind. She studied at the BRIT School before signing with Gut Records and striking a songwriting deal with Sony/ATV Music Publishing. William Adams, known professionally as will.i.am, is an American rapper, singer, songwriter, DJ, record producer, voice actor and philanthropist, best known as a founding and lead member of the hip hop group The Black Eyed Peas. 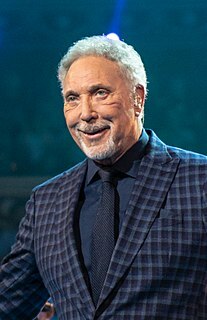 Sir Thomas John Woodward, known professionally as Tom Jones, is a Welsh singer. His career has spanned six decades, from his emergence as a vocalist in the mid-1960s with a string of top hits, regular touring, appearances in Las Vegas (1967–2011), and career comebacks—to coaching on The Voice UK from 2012. Jones's powerful voice has been described as a "full-throated, robust baritone". O'Donoghue retaliated saying "James who? Whatever. It’s up to other people to make up their own minds. I know I’m on this show for what I’ve done in my career. I’ve spent 15 years in the music industry, it’s all I know." Since then, however, the show has helped contribute to O'Donoghue's popularity, with O'Donoghue stating there was a "big outpouring of love for The Script" but adding that it "could have gone the other way." In the first series, he coached Bo Bruce, who went on to become the runner-up. Since then, she has had moderate success. He was asked to appear as a judge for The Voice again in 2013 after leading 'Team Danny' to great success. In the second series, Andrea Begley from his team went on to unexpectedly win. O'Donoghue co-wrote the track "Alive" for Bo Bruce's album Before I Sleep . On 16 July 2013, O'Donoghue announced he was leaving the show to concentrate on The Script. He was replaced for the third series by Ricky Wilson. O'Donoghue's father died of stomach aneurysm on 14 February 2008, at the age of 63. The rose tattoo on O'Donoghue's left arm  and the song "If You Could See Me Now" from their album #3 are dedicated to the memory of his father. His mother Ailish died 14 February 2019, exactly 11 years after her husband. "Live Like We're Dying" is a song written by Danny O'Donoghue, Andrew Frampton, Mark Sheehan, and Steve Kipner. It appeared as a bonus track on The Script's self-titled debut studio album, and a B-side for some of the album's singles. It is better known for being performed by American recording artist Kris Allen. The song serves as the lead single from his self-titled major label debut album. It was released for digital download on September 21, 2009. Colin Arthur O'Donoghue is an Irish actor and musician, best known for portraying Captain Killian "Hook" Jones on the TV show Once Upon a Time. He appeared in the 2011 horror thriller film The Rite (2011) as a sceptical novice priest, Michael Kovak. "If You Ever Come Back" is a song by Irish pop rock band The Script from their second studio album, Science & Faith. The song was released as the third single on 4 April 2011. It was written and produced by Danny O'Donoghue, Mark Sheehan, Steve Kipner, and Andrew Frampton. "Science & Faith" is a song by Irish pop rock band The Script, from their second studio album, Science & Faith. The song was released as the fourth single on 30 May 2011. It was written and produced by Danny O'Donoghue and Mark Sheehan. A music video to accompany the release of "Science & Faith" was first released onto YouTube on 6 June 2011 at a total length of three minutes and fifty seconds. 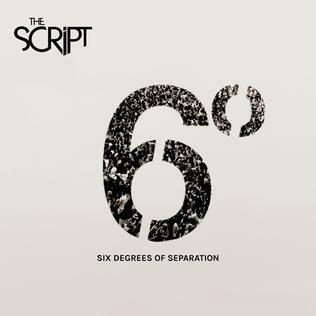 "Six Degrees Of Separation" is a song by Irish pop rock band The Script, taken from their third studio album, #3 (2012). The song was released as the album's second single on 25 November 2012. The track was written by Danny O'Donoghue, Mark Sheehan, Steve Kipner and Andrew Frampton. The music video for "Six Degrees Of Separation" was uploaded to YouTube on 5 November 2012 at a total length of three minutes and fifty-seven seconds. The band performed the song live during Children in Need on 16 November 2012. The band also performed the track live on The Voice of Holland on 7 December 2012, as well as performing "Hall of Fame" with the remaining contestants. 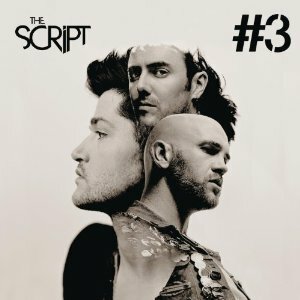 "No Good in Goodbye" is a song by Irish rock band The Script. It was released on 15 October 2014 as the second single from their fourth studio album No Sound Without Silence (2014). 1 2 "Danny O'Donoghue". Glamour Magazine. Archived from the original on 22 January 2013. Retrieved 14 February 2013. ↑ "Andi O' Donoghue on Twitter" . Retrieved 29 September 2014. ↑ Day, Elizabeth (27 May 2012). "Danny O'Donoghue: 'I idolised Dad. I'd bring home my songs to him like paychecks'". London: The Observer . Retrieved 14 February 2013. ↑ "Oh Danny boy! Script revel in chart success". Irish Independent . Retrieved 23 November 2008. ↑ "Chart History" . Retrieved 15 February 2013. ↑ "The Script - Biography" . Retrieved 15 February 2013. ↑ Hooton, Christopher. "The Voice's Danny O'Donoghue hits back at 'Danny I Dunno Who' jokes". Metro . Retrieved 15 February 2013. ↑ Bray, Elisa (5 October 2012). "The Script find a voice". London: The Independent . Retrieved 15 February 2013. ↑ Sperling, Daniel. "Danny O'Donoghue leaves 'The Voice' UK". Digital Spy . Retrieved 16 July 2013. ↑ Murphy, Eoin (4 August 2012). "The man who can be moved to tears: Danny O'Donoghue pours his heart out over The Script's tragic losses, why he went on The Voice and how he's not over his ex". London: Daily Mail . Retrieved 15 February 2013.